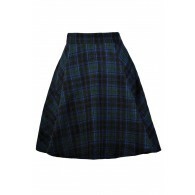 You have added Strike The Right Note Black and Ivory A-Line Skirt into shopping cart. 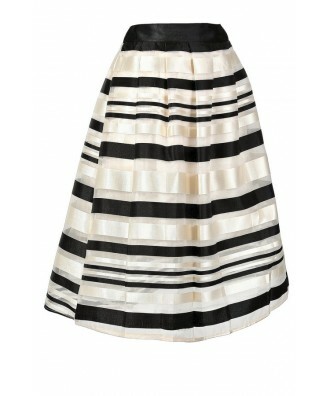 You'll definitely strike all the right notes in this elegant black and ivory striped A-line skirt. The Strike The Right Note Black and Ivory A-Line Skirt is fully lined and it has a layer of mesh underneath for added volume. 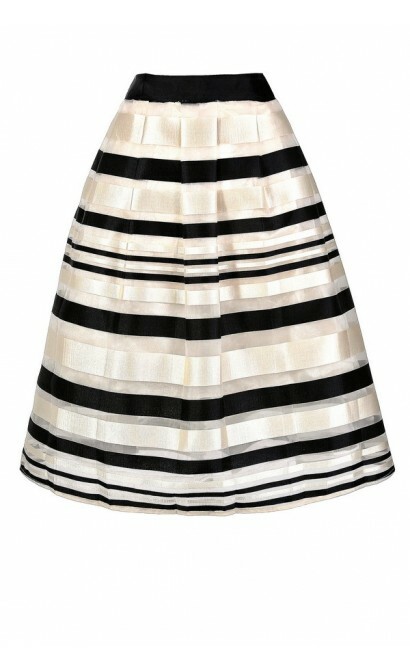 It is made of a structured fabric with black, ivory, and transparent horizontal stripes throughout. We love how the fabric has a subtle touch of shimmer to it! 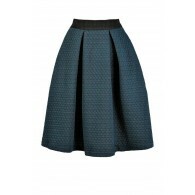 This skirt has a black waistband and subtle pleating. The voluminous A-line cut makes it a figure-flattering choice for any occasion. A hidden side zipper completes this skirt. The Strike The Right Note Black and Ivory A-Line Skirt would look nice paired with a black or ivory fitted tee or top and black pumps or strappy heels. This skirt looks great worn high on the waist with a top tucked into it. 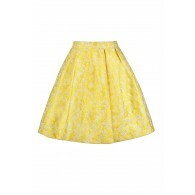 This is a cute skirt that can be worn in all four seasons, depending on how you accessorize. Details: Fully lined. Hidden side zipper. 40% cotton, 30% polyester, 30% rayon. Lining: 100% polyester. Hand wash cold. Do not bleach. Hang or flat dry. Low iron. Small measurements: Length from top of waist to hemline: 24.5". Waist: 27". 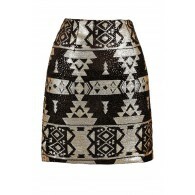 You have added Strike The Right Note Black and Ivory A-Line Skirt into Wishlist. 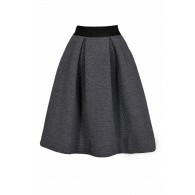 You have added Strike The Right Note Black and Ivory A-Line Skirt for Stock Notification. 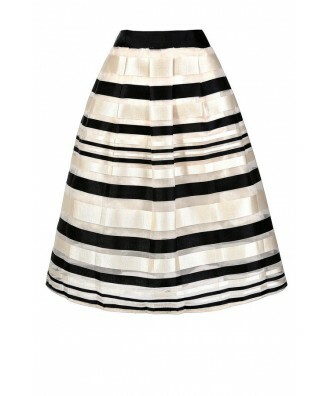 You have set Strike The Right Note Black and Ivory A-Line Skirt as a loved product. You have removed Strike The Right Note Black and Ivory A-Line Skirt as a loved product.